In the video, she explained how her visitation to him led to her sickness shortly afterwards. In her explanation, she stated that during her sickness, they made love and her boyfriend used a tissue paper to clean her private part. After speaking with her pastor over the phone, it was affirmed that he had certainly initiated the plan to use her. She was then advised by her pastor to find a way to distract him from accomplishing the assignment which could eventually take lead to her death. …Wendy Death..
Wendy revealed in the video that faking her own death was the only way to throw him off balance and keep him from accomplishing his ritual task. She went on to explain that she didn’t fake her death to become famous but ironically, to save her own life. 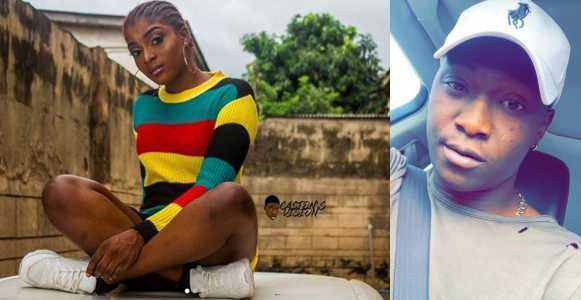 Responding to the statements released by her boyfriend who claimed her family was trying to extort him, Wendy insisted that her family would never such a thing, stating they were not in need of money or wretched like Jide’s family.